Knock on the locked turquoise door of the Mancos United Methodist Church Fellowship Hall, cheery against the sandstone stucco walls, and you’ll wait a minute before you hear soft footsteps. “Who’s there?” Rosa Sabido asks. If she knows you, Rosa lets you into the Fellowship Hall. Pastor Craig, working in his office just to the right inside the door, nods hello as you pass through the entryway and into the wood paneled great room, topped by two long rows of intrusively bright florescent lights. To the left is a well-used utilitarian kitchen, utilized both by Rosa and church members to feed the community. At the end of the great room a large, hand-written Margaret Mead quote is taped to the wall. “Never doubt that a small group of committed people can change the world. Indeed, it is the only thing that ever has.” A door to the right opens to a small fenced-in area nestled under a great, old willow tree with two busy bird feeders hanging on the limbs, dozens of birds flitting from limb to feeders. There is a lock on the gate. Back in the Fellowship Hall, tucked into the right-hand corner, is Rosa’s only private space, her tiny, tidy, all-purpose bedroom/office/sitting room/art space/sanctuary. Painted a soft blue and still containing part of a mural from when it was the church’s play room for children, gentle afternoon light flows through the window, through which near-constant chatter of nuthatches, magpies, and an occasional dove carries. A 6-foot-tall bookshelf in front of Rosa’s small twin-sized bed has been converted into an altar. It overflows with heart-shaped stones, devotional prayer candles displaying an array of saints, bottles of holy water from Chimayo, and a variety of other tokens of hope from friends, family, and supporters both in Montezuma County and across the country. Rosa’s desk, situated in front of the window, gives her a vista of Grand Avenue in Mancos, and more importantly, the ravenous birds twittering away. A Christmas cactus overflows with hot-pink blooms and a peace lily hovers just over the cactus with a quiet white bloom, moments from rolling open. This is Rosa’s Sanctuary. Rosa was 23 when she first entered the United States with a work visa that she renewed for 10 years, until authorities became suspicious of her. She then decided to re-enter the U.S. as an undocumented immigrant, and worked under the table as cleaner and cook until she was hired as a secretary for the Catholic Church in Cortez. In 2008, she was caught in an immigration raid of her relatives, and was released on the condition that she check in with the federal immigration office in Durango. She had been granted stays of removal until May 2017, when she was denied. Facing deportation after more than 30 years of living and working in the U.S., and desperate for help, Rosa called on Pastor Craig and his congregation. She entered the sanctuary of the church in Mancos on June 2, 2017. For more than a year, her only footsteps have been on this small parcel of land between the two buildings that occupy the lot. If she crosses onto the public sidewalk running along the perimeter of the church property, she could be arrested and deported back to Mexico. One of her deepest joys, preserving her spirit in this profoundly challenging situation, is her ongoing love affair with cooking. Rosa’s culinary repertoire is wide ranging and culturally diverse, but always includes favorites from her family. Dishes range from more traditional holiday recipes like Sopa de Haba y Nopales (Fava Bean and Cactus Leaf Soup) to snacks like fried corn tortillas with black beans and mole, which her grandmother made for her on a daily basis. But what she is known for county-wide in Montezuma are her famous tamales. Long before she was in sanctuary, she sold tamales. Mancos residents would count themselves lucky if they bumped into Rosa at the local P&D grocery store as they were wearily trying to conjure something to make for dinner that night. That warm, joy-filled Rosa smile would appear, and suddenly, the Tamale Heavens would open up. And this is how it went all over the county. Every week. Ask Rosa where it all started and she’ll recount growing up in Mexico City with weekends and holidays spent with extended family in Veracruz. Her Grandma Carmen was Italian, and cooked polenta and homemade Italian sausages along with a plethora of Mexican and indigenous foods. Her Aunt Aurora owned a farm down the road in Veracruz that supported an enormous garden full of watermelons, corn, beans, and herbs, and also milking cows and chickens. Rosa remembers watching Aunt Aurora make corn tortillas the size of a basketball from scratch. When she was back home in Mexico City, she’d scour the television channels, looking for cooking shows to hone her skills and combine what she was learning from her time in Veracruz. At the age of 22, she opened her first hole-in-the-wall café, Tutti Frutti, in Mexico City. With only a grill, griddle, fryer, and blender at her fingertips, she offered customers an array of American foods infused with Mexican sass. Suddenly, hot dogs were making friends with chorizo and eggs in the same cozy bun. This union of cultures, no doubt started by her Italian grandmother living in Mexico, continued to interest her. She didn’t see culinary boundary lines, only opportunities to create a symbiosis between ingredients that hadn’t yet known each other on the plate. 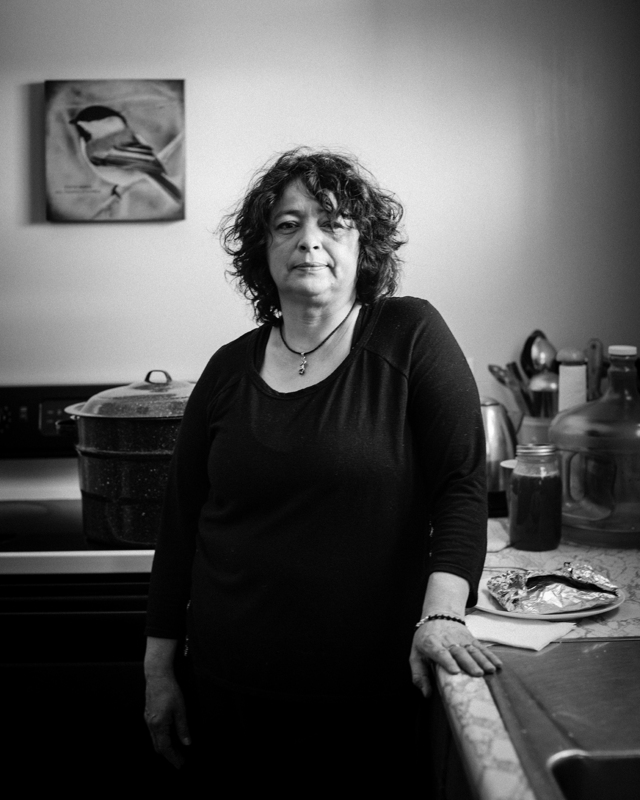 The improvisational art of cooking is one of Rosa’s most beloved ways of being in the kitchen. While most of us start with, “What do I want to eat?” Rosa is vastly more creative, taking a deep dive into, “What do I have, and what can I make out of it?” Give her some pasta, a jalapeno, and a link of turkey pepperon, and she’ll create a dish that breaks all barriers. She calls it a marriage, or a union, or sometimes a whole community of ingredients getting together to sing. One can imagine K.D. Lang’s version of “Hallelujah” being belted out by Rosa’s famous tamales. Rosa’s secret ingredient is her bottomless contentment in the crafting of it all. It’s an elixir that all chefs, from food truck self-starters to Michelin Star-laden elites, wish they could bottle. Coping with more than a year in confinement, Rosa is making adjustments and working with her team of community supporters to make it through each day, each week, and each new challenge. There are great ebbs and flows in the wave she is riding. Her mother, Blanca, has not been well and has chosen to go to Mexico for medical help because Rosa is no longer able to support her here in the U.S. Heartbreak rises to Rosa’s eyes as she explains her own difficult decision to stay in sanctuary in Mancos. “I have a mission. Something that I need to do here, and so I must stay,” she states with great sadness and great conviction. Her mission, she explains, is to support the sanctuary movement in the U.S. through the sacrifice of her own confinement every day, while speaking up for marginalized immigrants and the circumstances they face in seeking citizenship. Within that confinement comes the unexpected and continual gift of her love and cooking. She is nourishing the bodies and souls around her, and feeding her own soul with every ingredient and every human she links together.